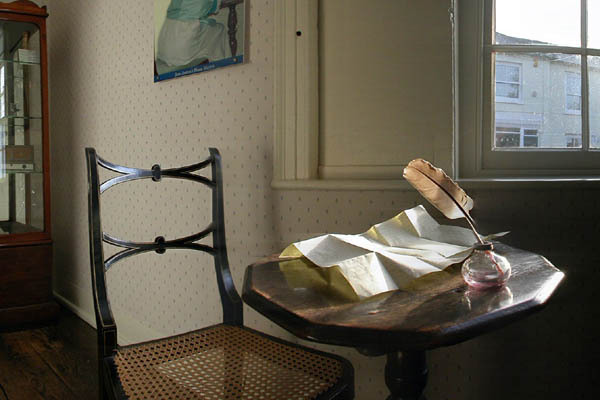 This is the perfect tour for Jane Austen fans who want to visit some of the most important locations in one day. Jane Austen was born and grew up in Steventon, and she wrote three of her famous works there; 'Pride & Prejudice', 'Northanger Abbey' and 'Sense & Sensibility'. Visit her home at Chawton where she lived for eight years, and worked on 'Emma', 'Persuasion' & 'Mansfield Park'. The medieval town of Winchester is where she spent the final part of her life. Your guide will show you its great cathedral, which is now her final resting place. The city of Bath was founded as a health spa by the Romans, its Roman Baths and Pump Room remain among the finest antiquities in the country. It was also the home of Jane Austen from 1800 - 1806. “I really believe I shall always be talking of Bath .... I do like it so very much. Oh! Who can ever be tired of Bath,” wrote Jane Austen in 'Northanger Abbey' (1818). The Assembly Rooms are also described in this novel. Lacock near Bath is where 'Pride and Prejudice' was filmed: one England's best preserved medieval villages, it won't fail to fascinate you! The itinerary is flexible and on the day of the tour you can choose with your guide a selection of the sights that interest you the most. We suggest one of the following 11 hrs combinations: Bath, Lacock and Winchester; Steventon, Winchester and Chawton; or Bath, Chawton and Winchester. Please note this is a fast paced tour.